For several years I have been trying to find the "perfect optic" for work. I needed something that was very proficient in a CQB enviornment (non magnified electronic red dot) and something that would give me some magnification for situations that took place at longer distances. In setting in which I work, 75% of the missions are CQB and the other 25% can range from permiter work, to overwatch on a V.I.P. detail, to searching large warehouses or schools, etc. SWAT missions can often be dynamic in nature. One minute you can find yourself on a permiter trying to see if the barricaded gunman, standing in the window has a gun or a cell phone in his hand. The next minute you're being redirected to be part of the entry team. On other missions you may find yourself sitting across a large parking lot covering a buy / bust operation, the bad guy goes mobile and now your part of a vehicle take down. 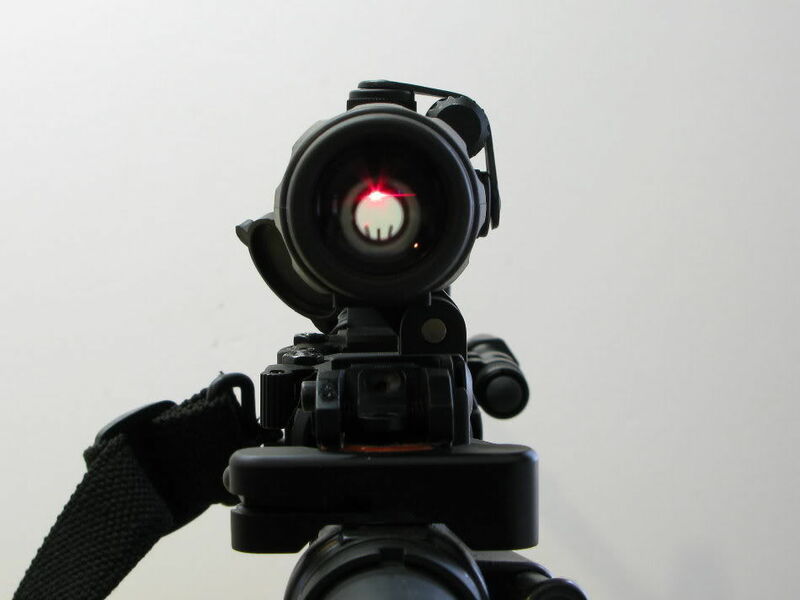 In short there are times where an electronic red dot rules the day and other times where a magnified optic is more desirable. However, there is almost never the time or opportunity to take one optic off the gun and replace it with another while in the middle of a mission. Two to three years ago I had the opportunity to get a small amount of trigger time on a Aimpoint M3 with 2 MOA dot and Aimpoint 3x magnifier. 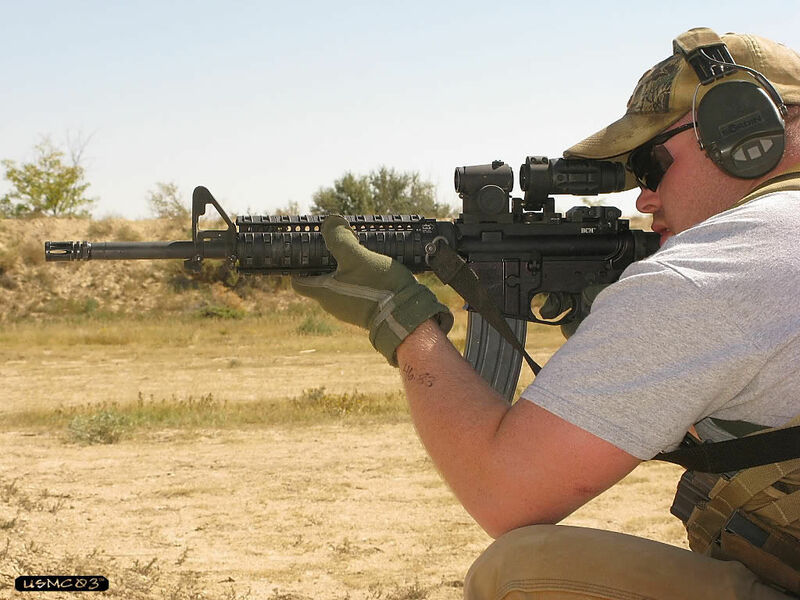 The Aimpoint M3 was in a standard LaRue Tactical Aimpoint Mount (#LT-150, not the cantalever version) and the Aimpoint 3x Magnifier was either a LaRue Tactical standard Aimpoint mount or night vision mount. Due to the way the Aimpoint and Aimpoint 3x magnifier was setup, I remember having to move my head to the rear on the stock to get the proper eye relief, and thus wasn't in my natural shooting position (my head was too far to the rear on the stock). 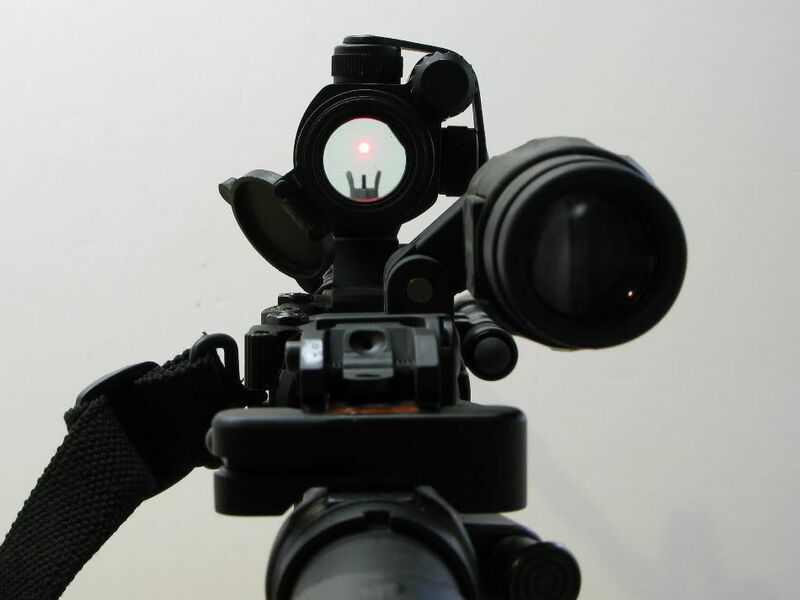 The one thing that sticks out in my mind about the Aimpoint 3x magnifier after using it (in the setup mentioned above) was that I didn't care for the field of view (reminded me of looking through a straw) and the Aimpoint 3x Magnifier just didn't "do it" for me. 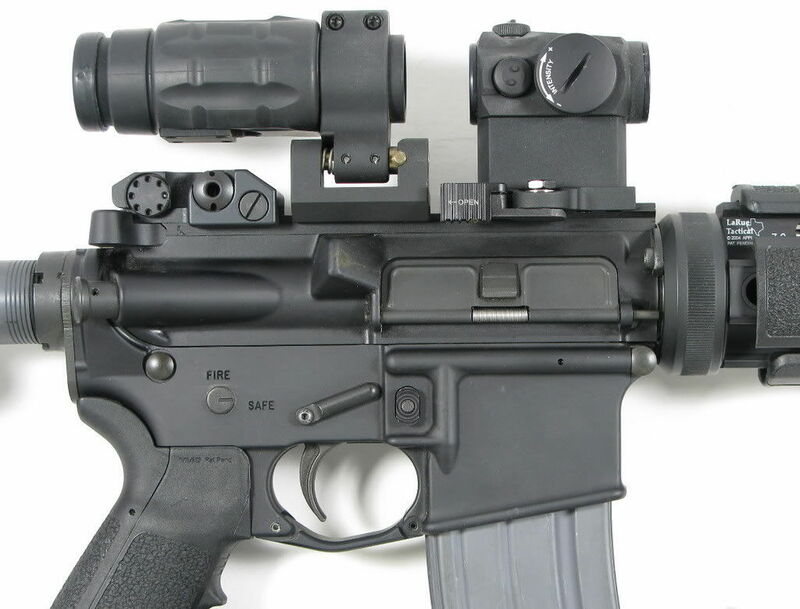 In theory the Aimpoint 3x magnifier would be an excellent choice, in reality it's not. Sometimes events can be so dynamic and situations can happen so quickly that you don't have time to search through a pouch for a magnifier, locate it, and then put it on the gun. Or if I had the magnifier in a pouch on my SWAT vest and I rolled on a bank robbery in progress, active shooter incident, etc. 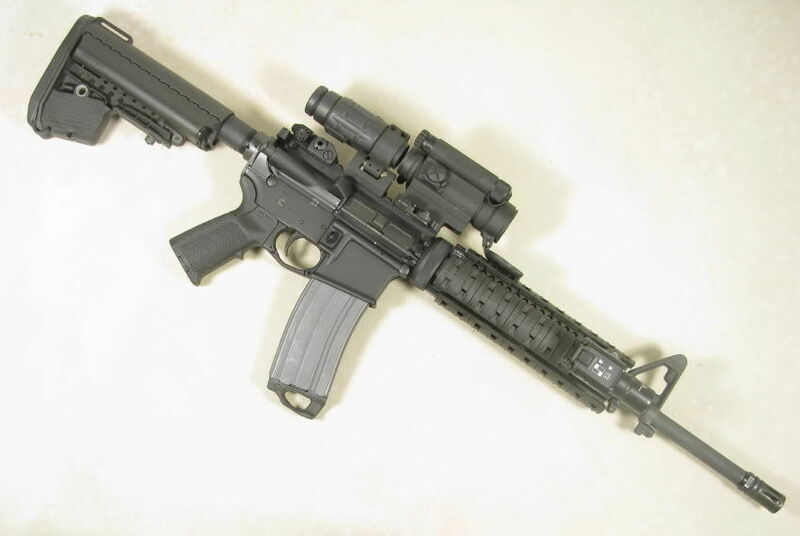 and had to deploy the carbine and didn't have a chance to don my SWAT gear then I'm without the Aimpoint 3x magnifier. I needed something that stayed on the gun and was easy to use. I needed an optic that I could go from no magnification to 3x to 5x while on the move in a second or two seconds at the most. Thus the magnifier was not an option for me. Fast forward a couple years. 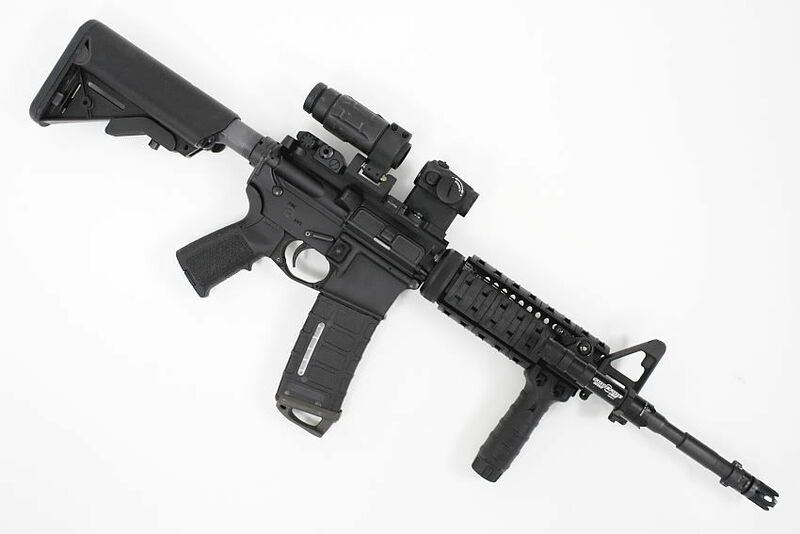 LaRue Tactical releases their 3x Magnifier Pivot Mount (LT649), which keeps the Aimpoint 3x Magnifier on the gun, but has the ability to move the 3x magnifier into the same viewing plane as the non-magnified Aimpoint red dot sight or move the 3x Magnifier out of the viewing plane, so the shooter is looking through just the non-magnified Aimpoint. The ring portion of the 3x Magnifier Pivot Mount (LT649) is a rotating spring loaded design that rotates the 3x magnifier out of the way of the Aimpiont (pivots the 3x Magnifier to the 2 o'clock position) simply by grabbing a hold of the 3x magnifier, pull it back toward your face, and rotate to the right. 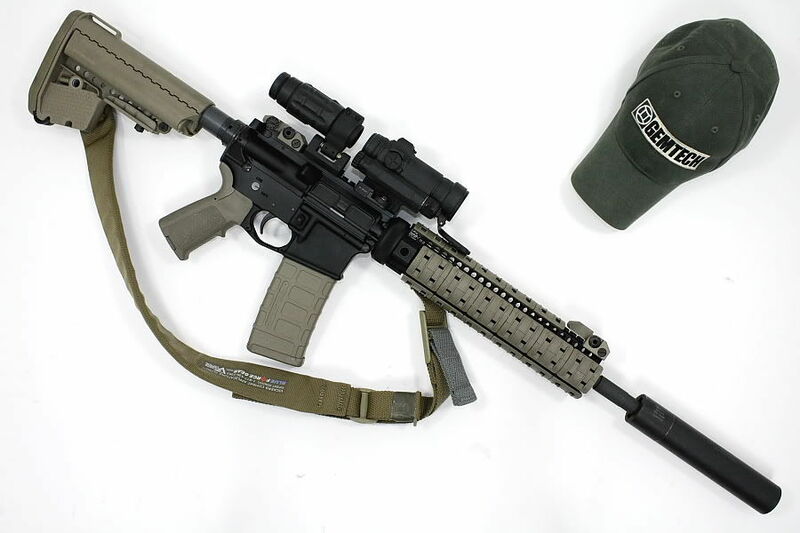 Once the LaRue Pivot Mount gets to the 2 o'clock positoin, it automatically locks into place and the 3x magnifier is held in the 2 o'clock position and the shooter then can use the unmagnified Aimpoint. 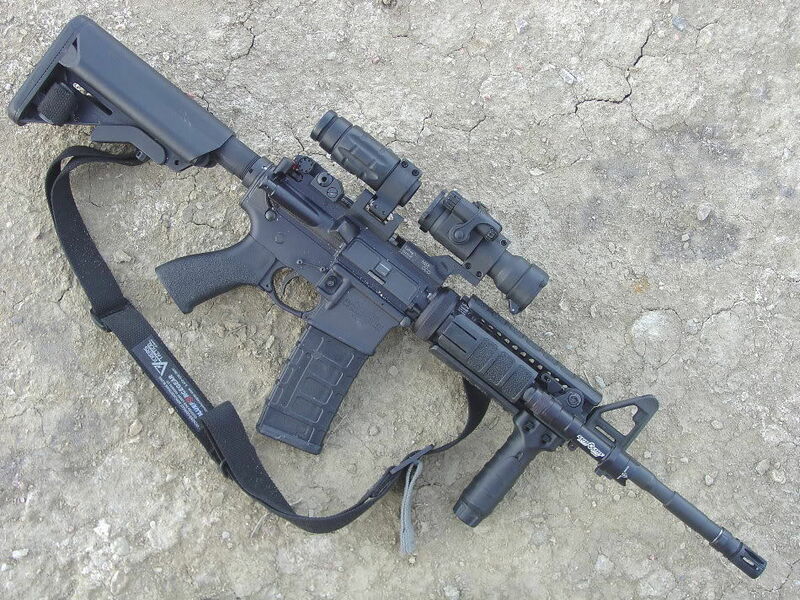 I have a lot of law enforcement / military guys contact me and ask my opinions on different optics. Many of them have the simular mission statements as me and have simular likes and dislikes. The Short Dot is hard for many to afford due to it's price. There aren't a lot of other options on the market if magnification + an electronic red dot (that can be seen under all lighting conditions) is needed. A couple months ago I ordered a LaRue Tactical 3x Magnified Pivot mount and an Aimpoint 3x Magnifier. I mounted the LaRue Pivot Mount with Aimpoint 3x Magnifier behind an Aimpoint ML3 (2 MOA dot) in a LaRue cantalever mount on my Colt LE6920. I have shot this set up from 50 yards out to 425 yards. Just last week I shoot 100 rounds at the steel gongs at my local range at 425 yards, conditions were cold and windy. With just a little hold over, it was extremely easy to engage the gongs at 425 yards. 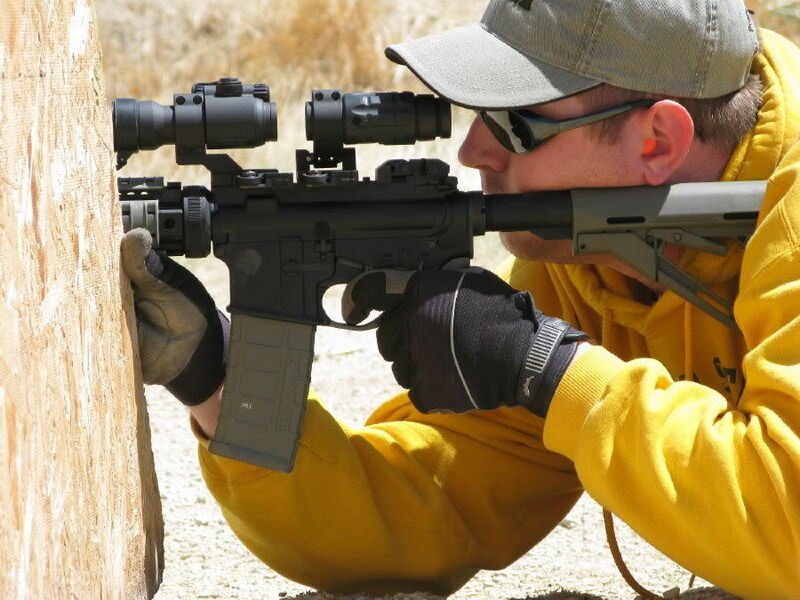 -The Aimpoint 3x Magnifier can be brought into the viewing plane or moved out of the viewing plane with the support hand in approximatley 1 second while on the run. In closing, I am very impressed with the Aimpoint 3x Magnifier in the LaRue Tactical Pivot Mount and have been using it for work, training, and competition with the Aimpoint ML2, ML3, Comp M4, Comp M4S, and Micro T1. 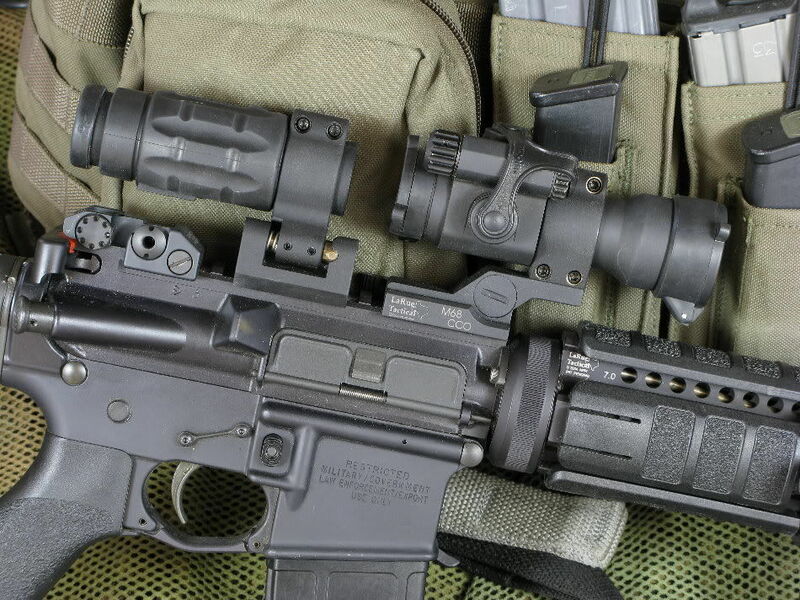 The Aimpoint 3x magnifier is definately another tool in the tool box.